Winter in Nebraska doesn’t only mean snow. 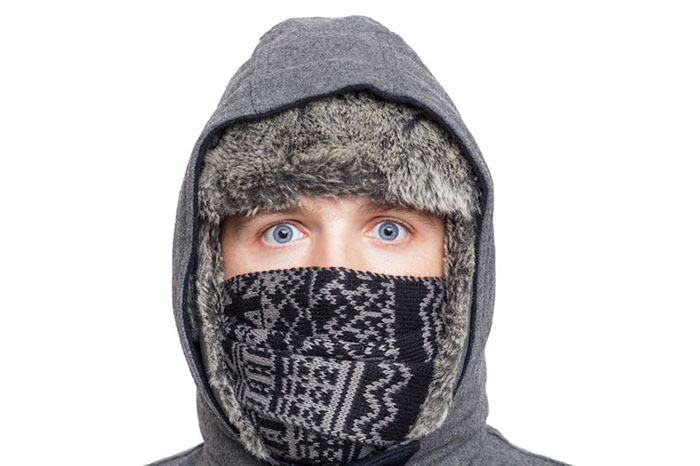 Dangerous wind chills can also pose problems for anyone who has to be outside. 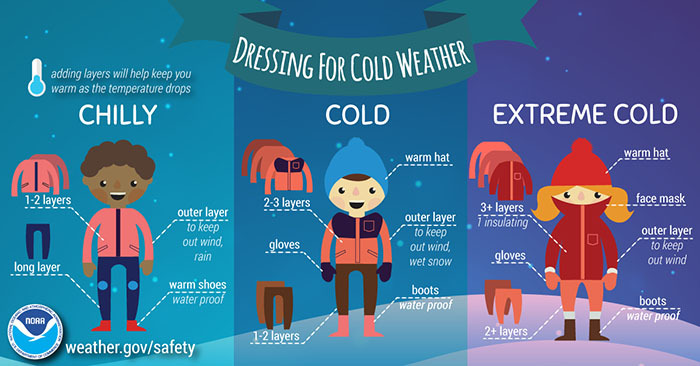 That means multiple layers of clothing, including proper headwear to keep heat in, and making sure very little skin is exposed to the elements. 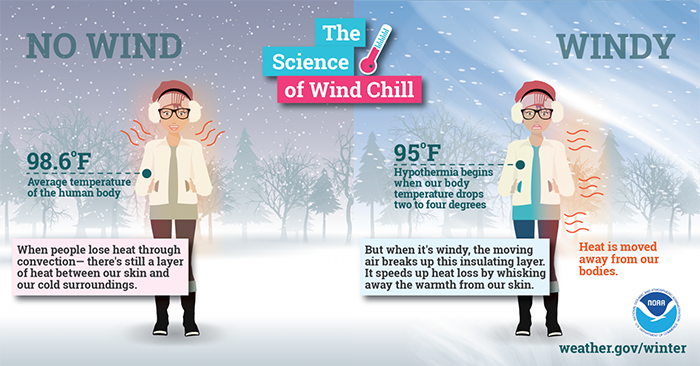 The following graphic, also from the National Oceanic and Atmospheric Administration, shows just what wind does to the body.